I love looking through Etsy just to see what catches my eye sometimes. Today I decided to look at some furniture finds for chairs. Here is what caught my fancy. I just love everything about this chair appropriately titled My Favorite Chair by yiayias. 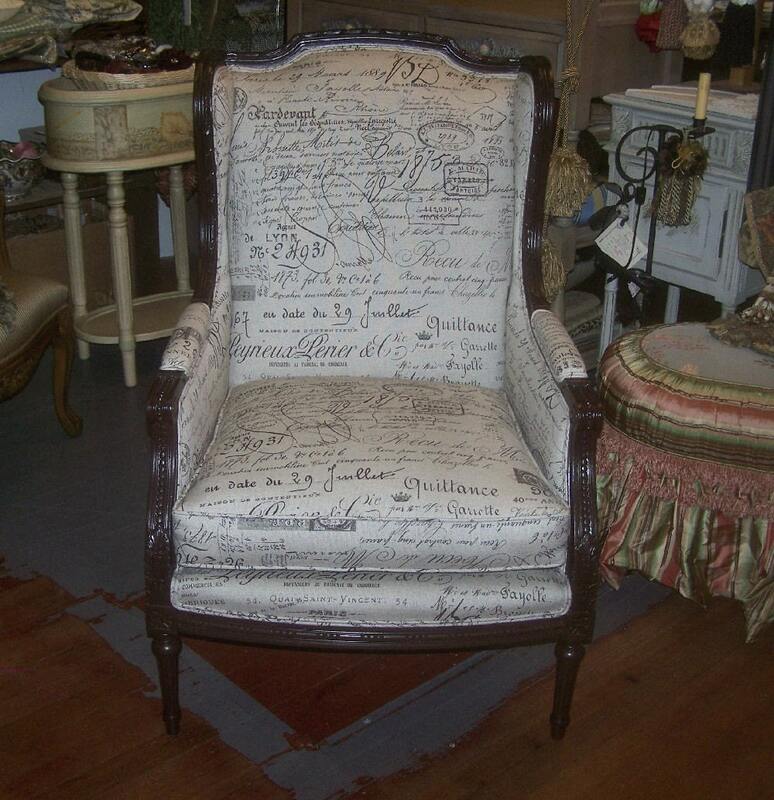 What is there not to love about these refinished and reupholstered vintage cane chairs by Fabulous Mess . I love the fabric and they look so inviting. I'd like them both, thank you! 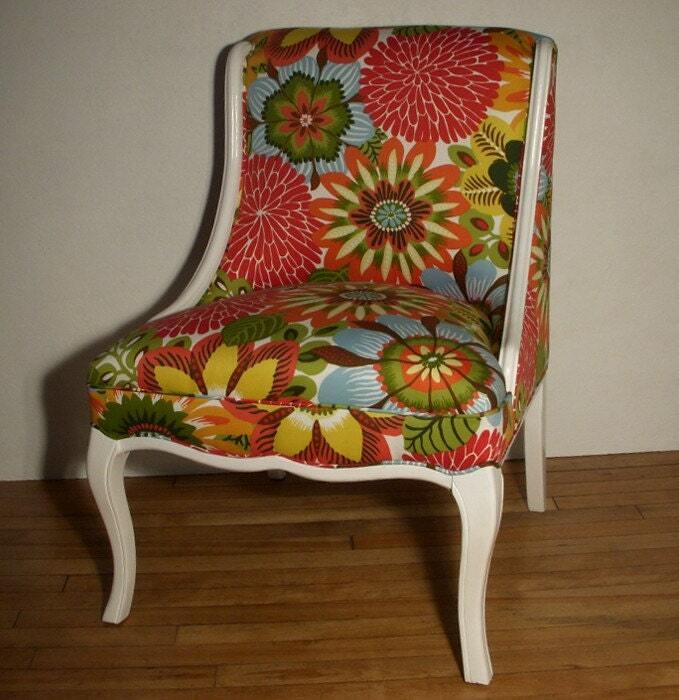 This little vintage slipper chair with its new Robert Allen fabric just make me happy to look at it. KL Upholstery did a great job with this beauty. This Esty shop has some other nice pieces to check out as well. This looks so cozy that I just want to curl up in it and read a book. 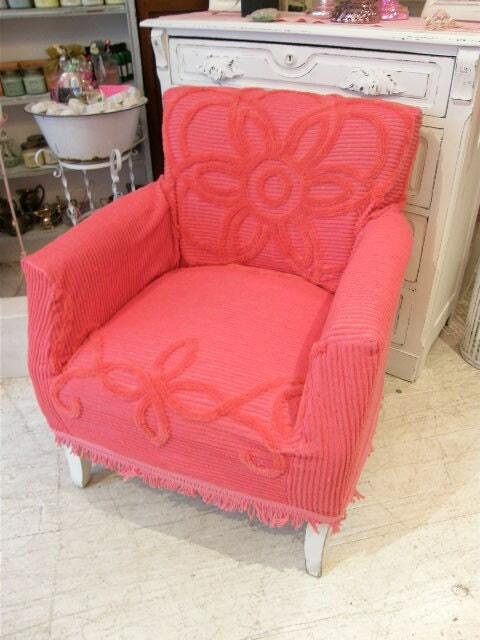 This chair by Vintage Chic Furniture was recovered in a vintage chenille bedspread and is the ultimate in country cottage chic! 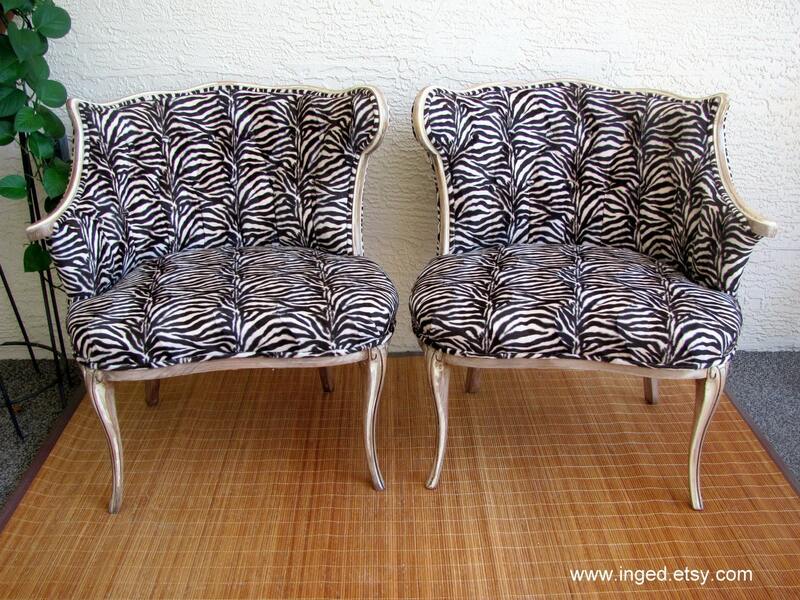 If your taste begs for something more on the wild side, check out this pair of Victorian Conversation chairs by Inged done in this zebra print faux fur. This is another chair that just makes me smile. 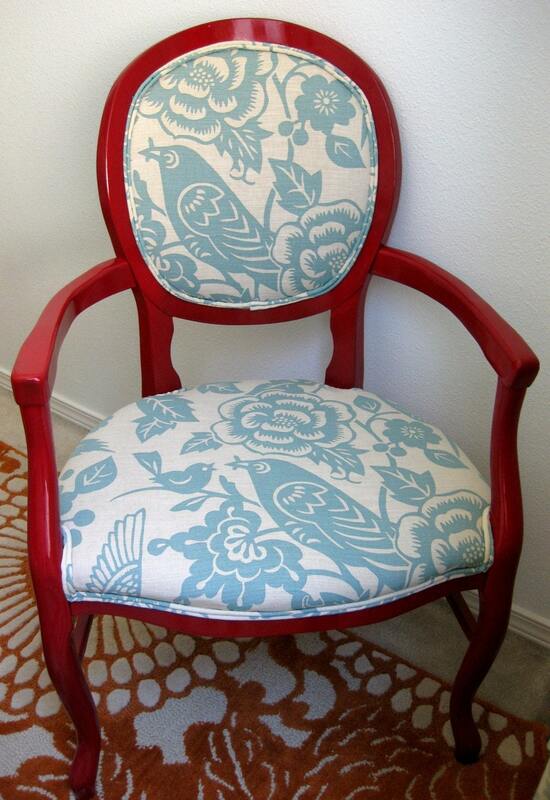 I love this cherry red finished chair with its Thomas Paul for Duralee fabric. Rubbish Rehab certainly picked a fun and fabulous color combination. Now you know what caught my eye on Etsy. I hope these chairs made you smile too! The last one is my favorite. Thanks for sharing these. I love these!!!! So dangerous for me-since I am in the midst of decortaing my new house! Numbers 1, 2 & 6 are my favourites! Thanks for sharing! I love these chairs!! Thanks for posting!! Love this and love your blog name!